Marine litter is one of the most serious threats facing oceans, coastal areas and rivers worldwide. Litter ending up in waterways can travel long distances with the currents and winds, and constantly washes onto beaches, gets caught in fishing nets, damages boat motors, looks terrible and smells bad. Tragically, marine animals and fish often mistake floating cigarette butts and plastic pieces for food, and many die or get sick after swallowing it. Birds can easily entangle themselves in plastic six-pack rings and strings, and metal scraps and broken glass can cut the flesh of birds and other animals. Not only is litter terrible for marine environments, but it can also have a severe impact on the economy as well. A 2014 United Nations Environment Program (UNEP) study pointed to the significant impact of ocean plastic on maritime natural capital. It was estimated that the annual damage of plastics to marine ecosystems is at least US$13 billion per year. 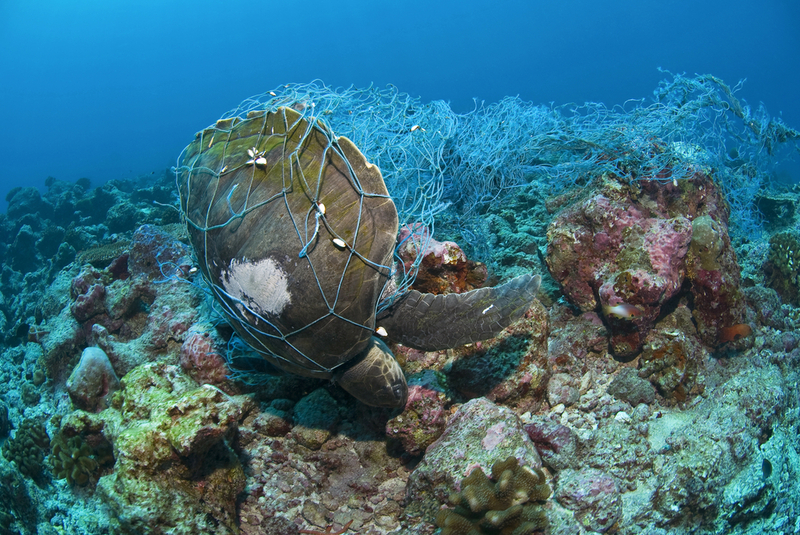 The Asia-Pacific Economic Cooperation (APEC) also estimated that the cost of marine plastic pollution to the tourism, fishing and shipping industries was US$1.3 billion in the region. In South East Queensland, where waterway recreation is central to our lifestyle, the potential impacts of litter could be severe. South East Queensland waterways are estimated to provide over $10 billion per year to the region’s economy through tourism, recreation, drinking water supply and fishing, and those figures will only increase in the years ahead. By 2031, the population is expected to reach around 4 million people – an increase of more than one million people over a decade. Today, more than 50 per cent of people live in urban areas, and by 2050, this proportion is expected to grow to 70 per cent. Population growth and associated development are a major threat to our waterways and increased population growth, particularly within our urban areas will increase waterway litter pollution loads. Thankfully, our research indicates tackling the litter problem is important to the community. In 2018, Healthy Land and Water’s Environmental Health Monitoring Program found litter is the number one concern to South East Queensland residents when they were asked what impacts their enjoyment of local waterways. Litter is a highly visible form of environmental degradation and is a topic that remains high on the public agenda. The Queensland state government has a vision to create a state free from litter and illegal dumping—driven by the adoption of best practice in waste management and education. Healthy Land and Water believes that the Clean Up Program, now in its 20th year, plays a crucial role in achieving that vision.